Honda GROM | SA Motorcycles. A cool mini sport bike. The Grom comes with 4-stroke, 125cc engine, PGM-FI technology, and air-cooled system. Sporty Dynamic Design - featuring stacked LED headlight, compact underslung exhaust,new airplane tank cap, new flip key and new LCD digital dash delivering all the information the rider needs � speedometer, twin trip meters, fuel gauge and clock. Honda Grom was developed under the "Endorphin Clutcher" concept to be a cool mini sport bike with superior design. The model is set for people who are looking for a flexible funky bike to ride in the city and cruise around the weekends. Looking to take the GROM for a test ride? Tell us when it suits you and we will be in touch to confirm the time and bike availability. 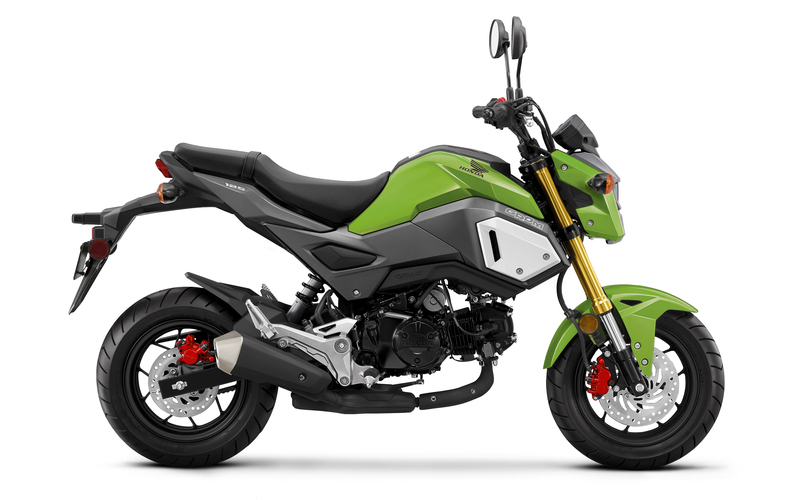 Want to know more about the GROM? Our sales team have years of experience and can help with your enquiry.